Media Accreditation for the Grow Up Cannabis Conference and Expo is open! Apply now. The Conference’s opening keynote speaker will be Kevin O’Leary, Canadian entrepreneur, financier, bestselling authour, Emmy Award-winning television personality and political proponent of legalized marijuana. Having built a company worth more than $4 billion dollars, he will share first-hand top insights on investing, business and his fundamental beliefs about success and entrepreneurship. Other confirmed speakers to-date include: Hilary Black, Director of Patient Education and Advocacy, Canopy Growth Corporation; Tony Chapman, motivational speaker, Tony Chapman Reactions; Alex Cooley, Co-founder, Solstice; The Honourable Darrell Dexter, Vice Chair, Global Public Affairs; Mark Doherty, Director of Project Management, Urban-Gro; Mara Gordon, Co-founder, Aunt Zelda’s; Dan Gustafik, Founder, HybridTek; Rory Jonathan, Head of Grower Support, Advanced Nutrients; Adam Miron, Co-founder and Chief Brand Officer, Hydropothecary; Jon Watson , CEO, Grower’s Quality Assurance; and Melanie Yelton, Vice President of Research, LumiGrow Inc., among others. For a full line up of speakers and regular updates, visit growupconference.com/conference/all-speakers/. 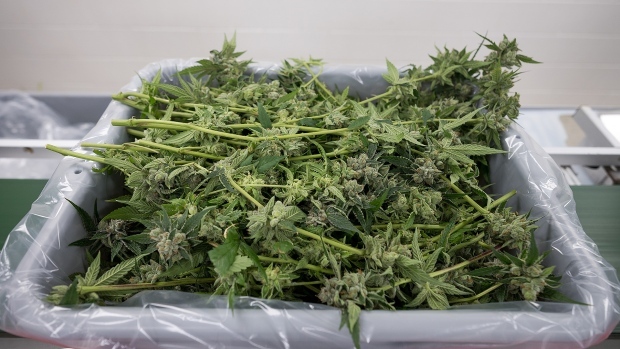 Grow at Home Workshops will also be offered, focusing on the recreational and medicinal user that would like to learn how to grow high-quality cannabis at home properly, legally and safely. These one-day intensive workshops will include discussions on topics including regulation, seed varieties, germination, lighting, pest control, harvesting and storage. New this year is the first annual Grow Up Cannabis Hackathon presented by Trellis, a competitive innovation event presented by Trellis taking place in Toronto on September 6-7. Teams of multi-disciplinary hackers, including engineers and software designers will work for 24 hours straight to solve a challenge (to be revealed at the opening of the Hackathon), with the end goal to build a working prototype to present and pitch to a panel of judges. Competing hackers will explore ideas of tracking, purchasing, reporting, strain identification, verification and integration within the cannabis industry. The winning teams will be taken to the Grow Up Cannabis Conference via TourBuds – the first luxury cannabis tour bus, with activation by Hotbox – for the awards presentation and ceremony. Confirmed judges include Alex Blumenstein, Co-Founder of Leaf Forward; Rachel Colic, VP Brand Strategy & PR for Pure Global Cannabis Inc.; Jay Rosenzweig, Managing Director of Rosenzweig & Co.; Matt Shalhoub, Managing Director of Green Acre Capital; and Corey Herscu, Founder & CEO, RNMKR PR. Interested hackers can sign up to compete by visiting growuphackathon.com. 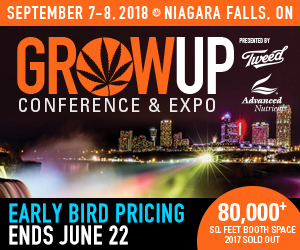 Conference passes are available for the Grow at Home workshops (option of either Friday or Saturday), Industry Conference (programming on both Friday and Saturday) and the Cannabis Meets Healthcare segment (Saturday only) as well as two networking breakfasts: the Investors Breakfast and Women Growers Breakfast – Looking through Glass. Two-Day Expo tickets are also available and will offer access for the entire duration of the event. More information on programming, tickets and registration can be found at growupconference.com. To apply for media accreditation, please visit https://growupconference.com/contact-us/media-accreditation/. Veteran assemblers of forward-thinkers, their signature events include the internationally attended O’Cannabiz Conference & Expo, Canadian Music Week, the Digital Media Summit, Radio Interactive Summit and the career-making CMW Music Festival. They produce a myriad entertainment and media industry award events, including The Indies, The Canadian Radio Music Awards, the advertising industry’s Crystal Awards, The Live Music Industry Awards and the annual Music Broadcast and Industry Gala. They also have a two-decade-long relationship with Canada’s JUNO Awards. Grow Up Cannabis Conference and Expo and O’Cannabiz Conference and Expo have been named the top two cannabis industry events in Canada by High! Canada Magazine. Tweed is a globally recognized cannabis brand and subsidiary of Canopy Growth Corporation (TSX:WEED, NYSE:CGC). It has built a large and loyal following by focusing on quality products and meaningful customer relationships. Tweed doesn’t just sell cannabis, it facilitates a conversation about a product we’ve all heard about but haven’t met intimately yet. It is approachable and friendly, yet reliable and trusted. As cannabis laws liberalize around the world, Tweed will expand its leading Canadian position around the globe. Learn more at www.tweed.com.